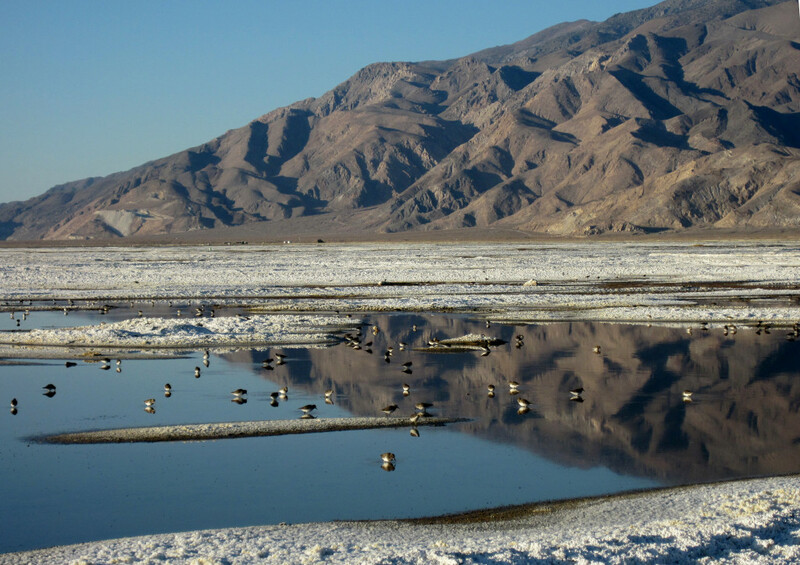 Owens Lake Dust Mitigation Project (OLDMP) | Air Sciences Inc. 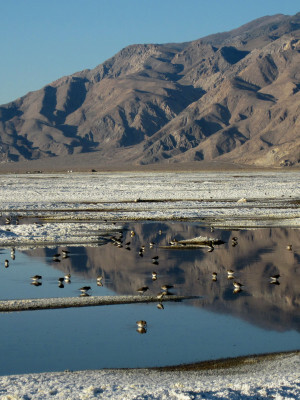 Since 2006, Air Sciences has served as prime contractor on a $50 million contract with the Los Angeles Department of Water and Power (LADWP) to provide science, technology, and regulatory support services for projects on Owens (dry) Lake and within the Owens Valley and Mono Basin in eastern central California. During the early decades of the 20th century, the City of Los Angeles constructed the first of two aqueducts and began diverting water from the Owens River and its tributaries on the eastern side of the Sierra Mountains to the growing metropolitan area, causing Owens Lake to dry completely. The resultant 110-square-mile playa became a major source of dust emissions, adversely affecting air quality in surrounding communities. 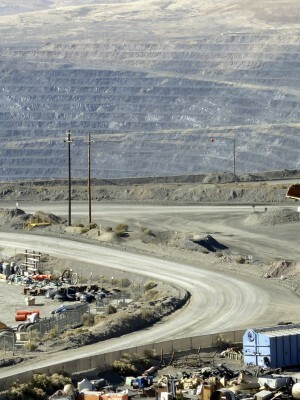 In 1987, the U.S. EPA pronounced the southern Owens Valley in violation of National Ambient Air Quality Standards (NAAQS) for particulate matter less than 10 microns in diameter (PM10). To date, LADWP has spent nearly $2 billion on engineering design, construction, and operation of over 40 square miles of dust control facilities on Owens Lake. The Air Sciences team, including subconsultants, is one of largest, most diverse science and regulatory teams specializing in dust monitoring, planning, and control measures in the world. Technical support for Owens Lake Master Plan, Environmental Impact Report, and associated documents. Regulatory review of U.S. EPA air quality regulations, quality assurance requirements, Best Available Control Measure (BACM) guidelines, and the Exceptional Event Rule (2016 Revision). Development of regulatory compliance deadline database and weekly email alert system. Development of email alert system based on one- and three-day weather forecasts, and a text alert system to notify recipients of high winds above the threshold required to initiate sand motion and dust emissions. Multi-disciplinary investigation into the origin and development of the modern Keeler dunefield on the northeast corner of Owens Lake. Nine manuscripts are being prepared for publication in a peer-reviewed scientific journal. Portable In-Situ Wind Erosion Laboratory (PI-SWERL) sampling and Single-Wind Event Evaluation Program (SWEEP) modeling to evaluate controlled and uncontrolled particulate matter emissions from Owens playa. Development and testing of LiDAR-based analysis and mapping tool for evaluating the performance of dust control areas based on surface roughness through tillage. Use of aircraft-based Shortwave Infrared remote sensing of soil moisture cover on Sprinkler Shallow Flood dust control areas. With Trent University in Ontario, Canada, wind tunnel testing to determine rates of surface drying and associated sand flux and PM10 emission rates as a function of soil texture and environmental conditions within sprinkler Shallow Flood areas on Owens playa. With NASA Jet Propulsion Laboratory in Pasadena, California, wind tunnel testing of a combined dust control and power generation project on the Owens playa that involves solar panel arrays. Development and testing of new waterless and water-efficient dust control measures on the Owens playa, including: tillage roughening, “moat and row,” water-efficient sprinkler systems, chemical soil stabilizers, sand fences, and gravel. Design of broad bed Managed Vegetation dust control areas, with weekly sampling to assess seedling establishment, growth, and percent cover over the growing season. Design of tillage roughness dust control areas. Design of sand-fence arrays to prevent sand intrusion onto gravel BACM or newly emergent Managed Vegetation areas, and to prevent sand motion and dust emissions on uncontrolled surfaces including environmentally and culturally sensitive areas. Design of temporary dust control measures on unpaved roads, construction areas, and environmentally sensitive areas. 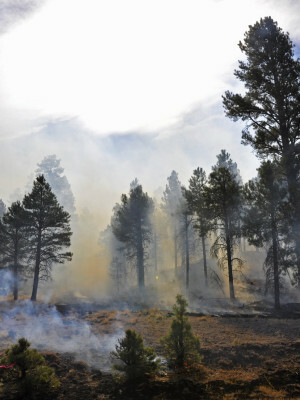 Design, installation, and operation of an extensive network of continuous, real-time particulate-matter monitors, meteorological towers, sand flux monitors, fixed surface sampling sites, and video cameras, including data acquisition using cellular modems linking to a remote server with web interface. Compliance evaluations for Managed Vegetation and Shallow Flood dust control areas using remote sensing (Landsat, Pleiades, and Geo-Eye), and UAV platforms. Regulatory compliance monitoring on tillage areas. With LADWP, prepared strategic plans to anticipate and avoid regulatory and technical impediments for achieving dust control operations by the stated deadlines. Expert testimony at public hearings and appeals before the California Air Resources Board. Preparation of focused reviews of federal, state, and local laws; air quality regulations; and environmental planning documents. Dust Mitigation and Assessment – After 20+ years working on fugitive dust, we have a deep knowledge of the regulations, health impacts, and science behind this critical issue..